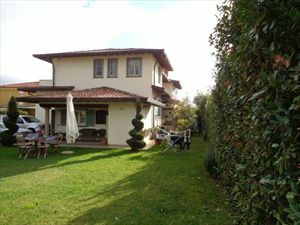 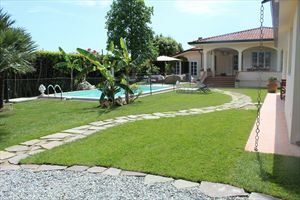 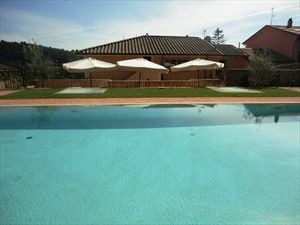 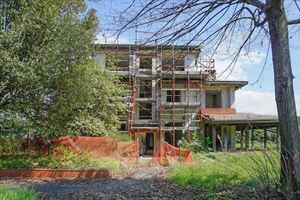 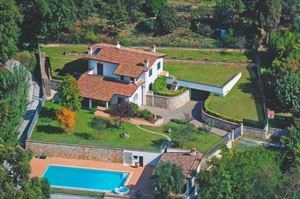 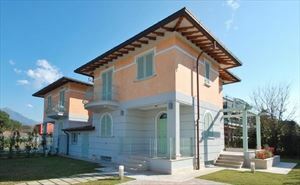 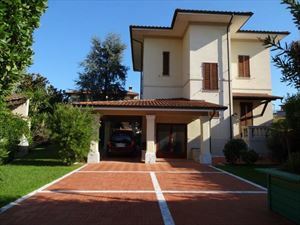 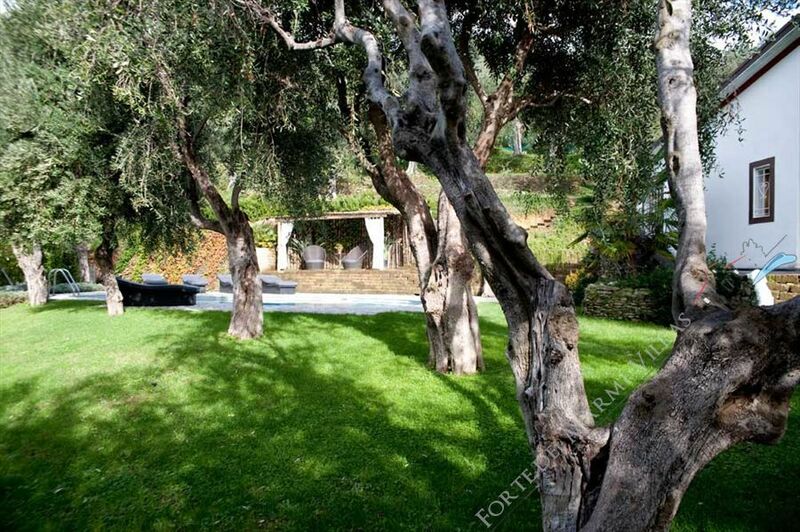 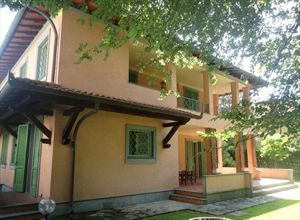 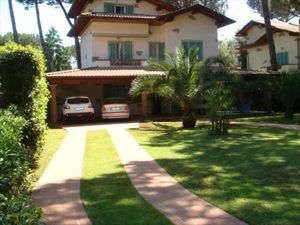 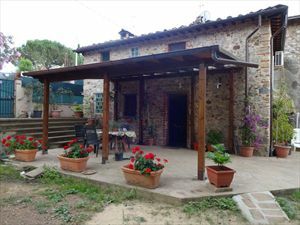 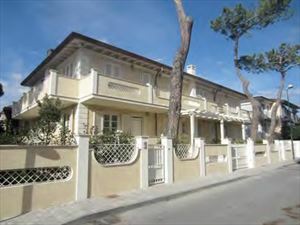 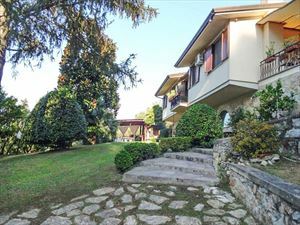 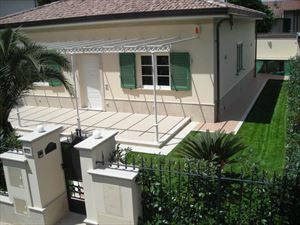 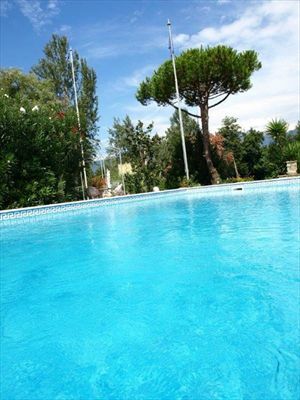 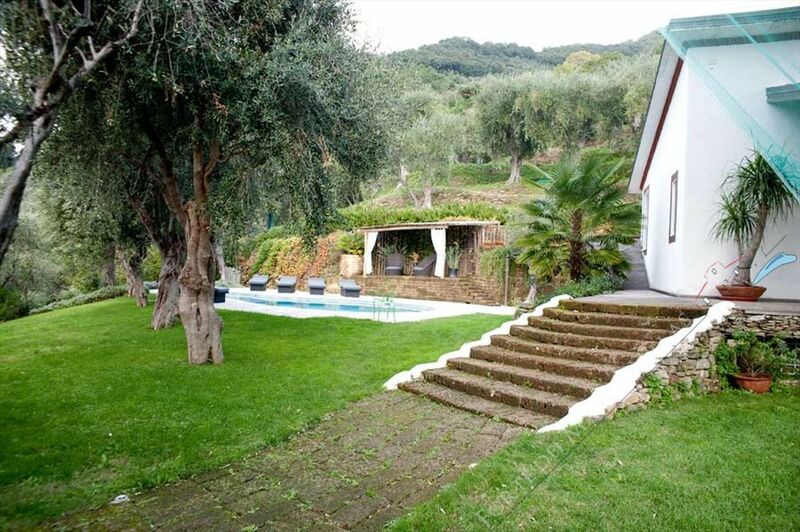 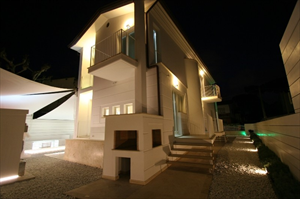 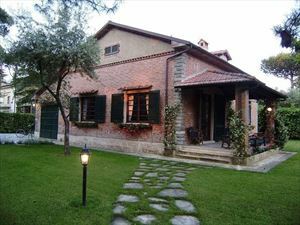 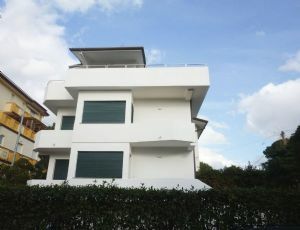 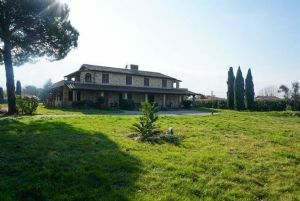 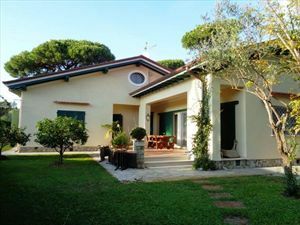 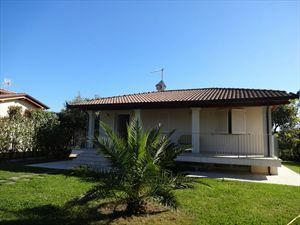 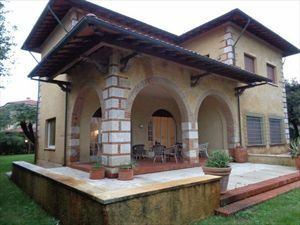 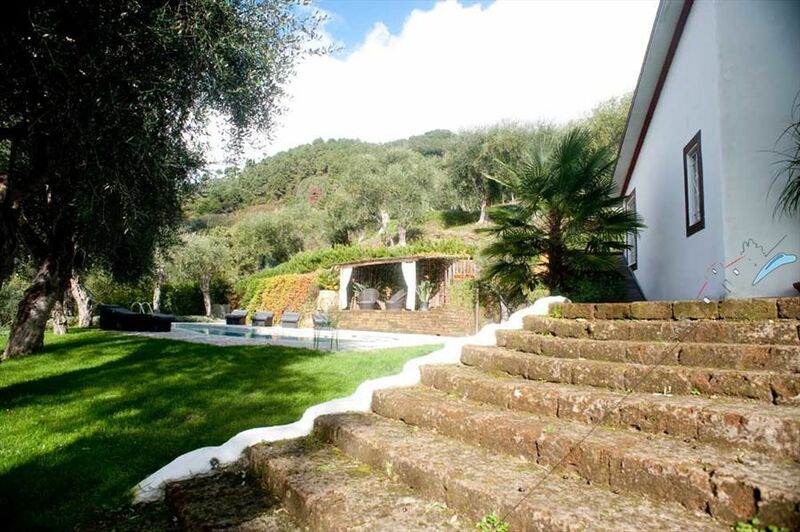 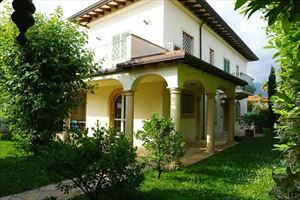 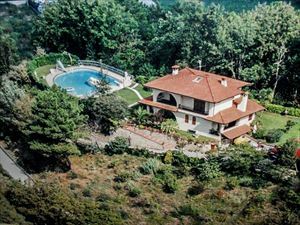 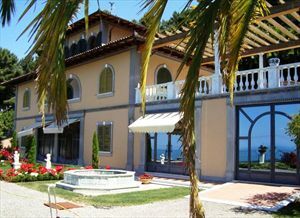 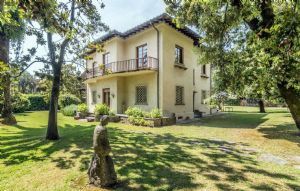 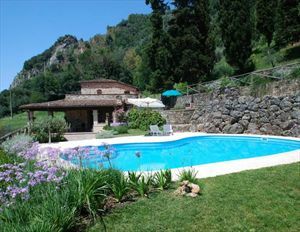 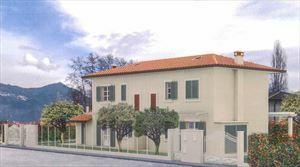 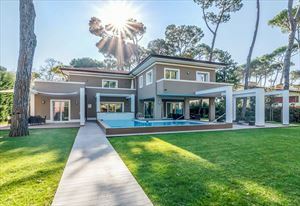 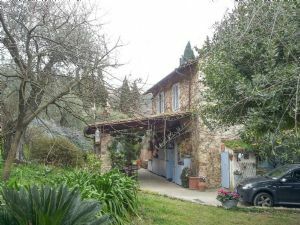 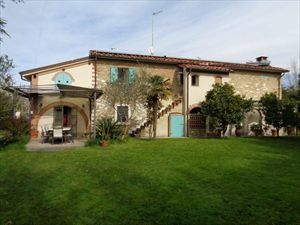 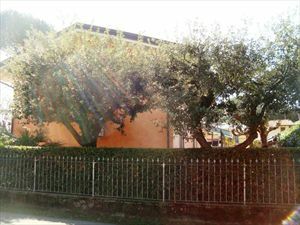 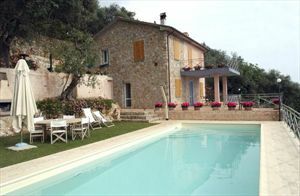 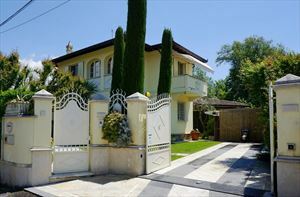 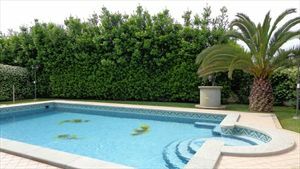 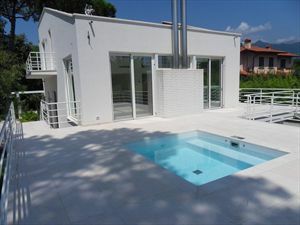 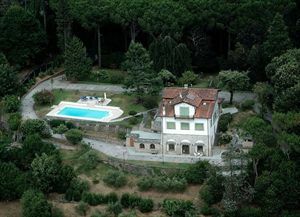 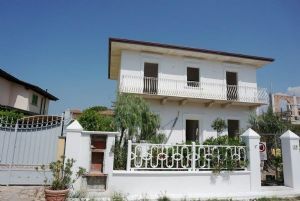 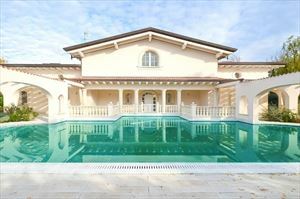 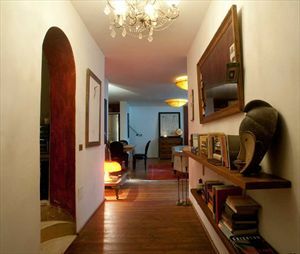 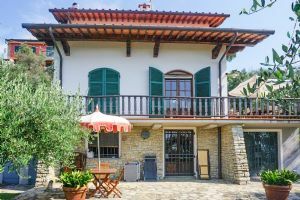 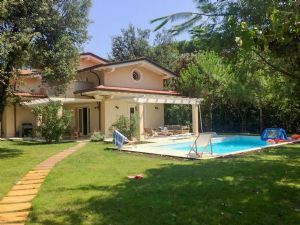 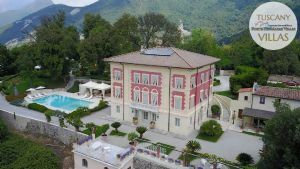 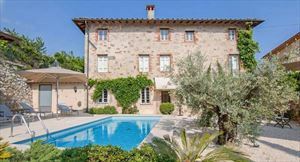 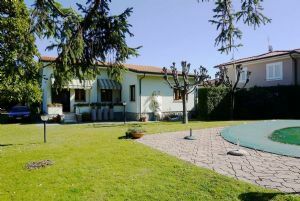 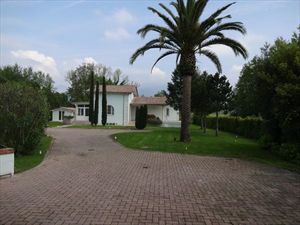 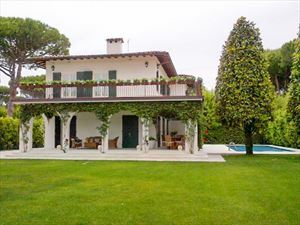 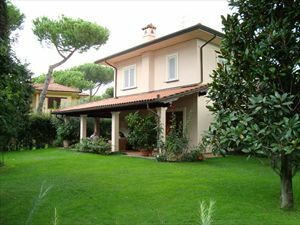 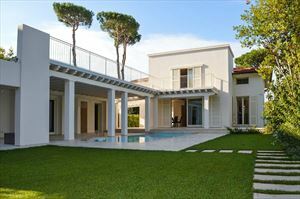 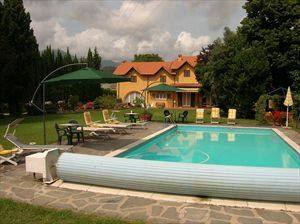 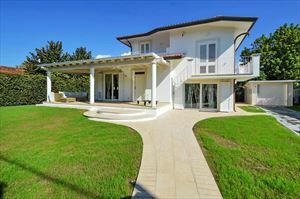 Beautiful independent villa for rent situated on the hills behind the Versilia coastline are, in a property extending for about 8000 sq. 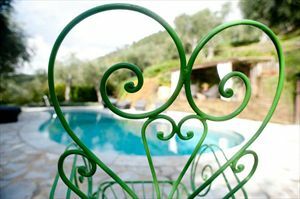 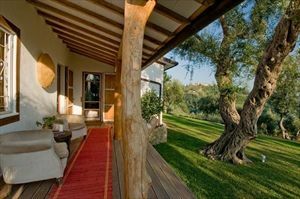 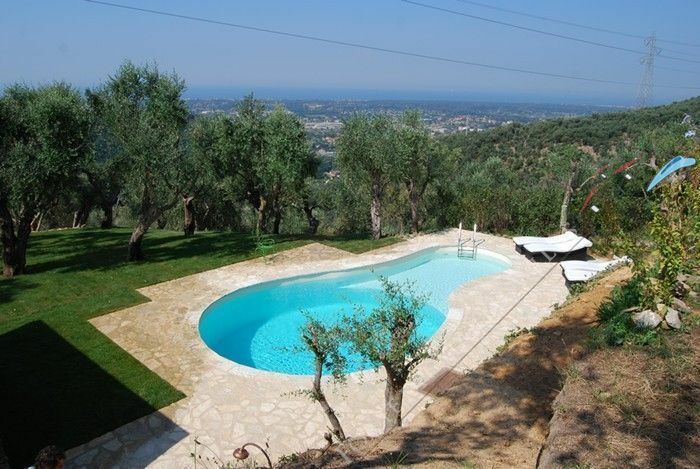 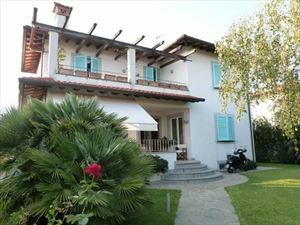 This charming villa, surrounded by ancient olive groves, is in peaceful location and offers extensive views over the Versilia coastline. 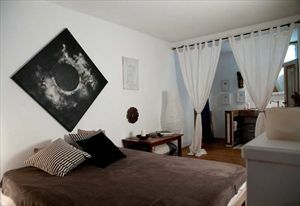 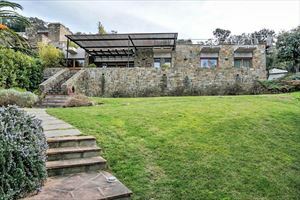 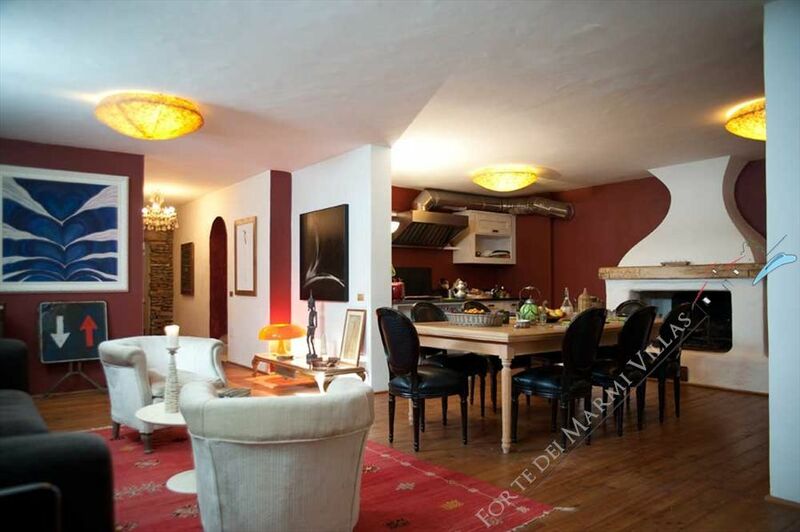 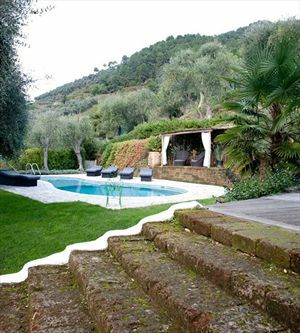 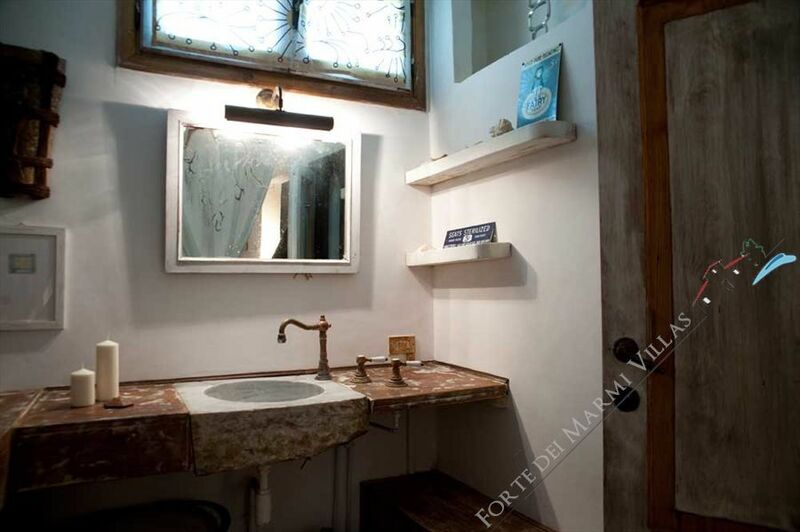 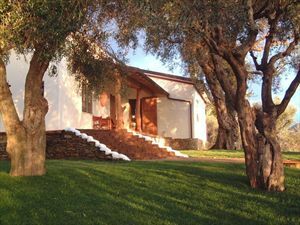 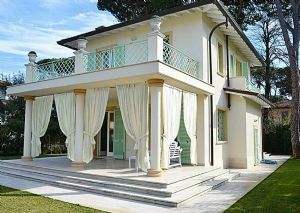 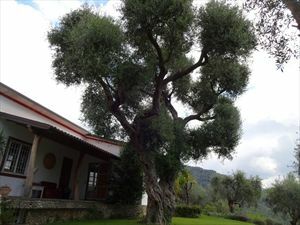 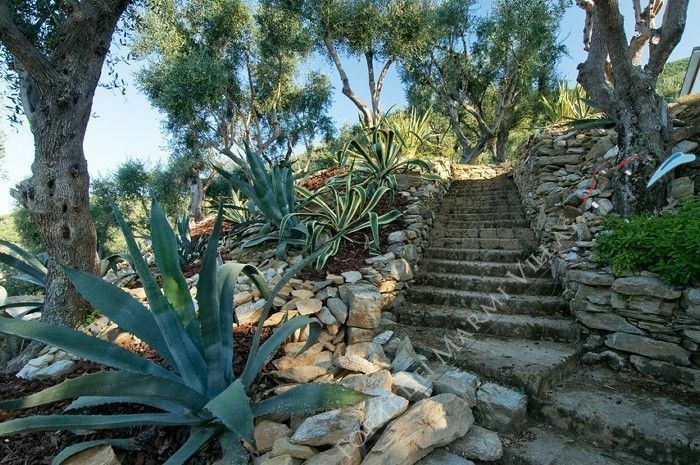 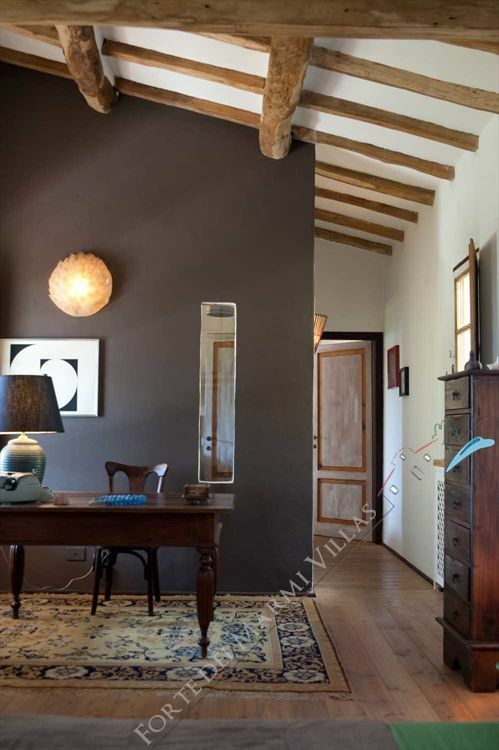 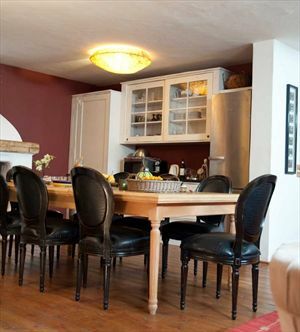 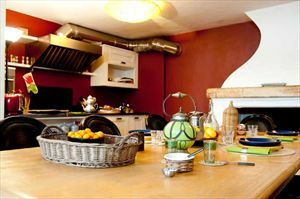 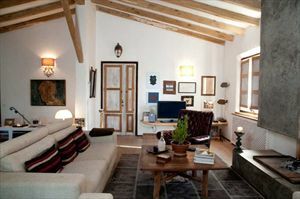 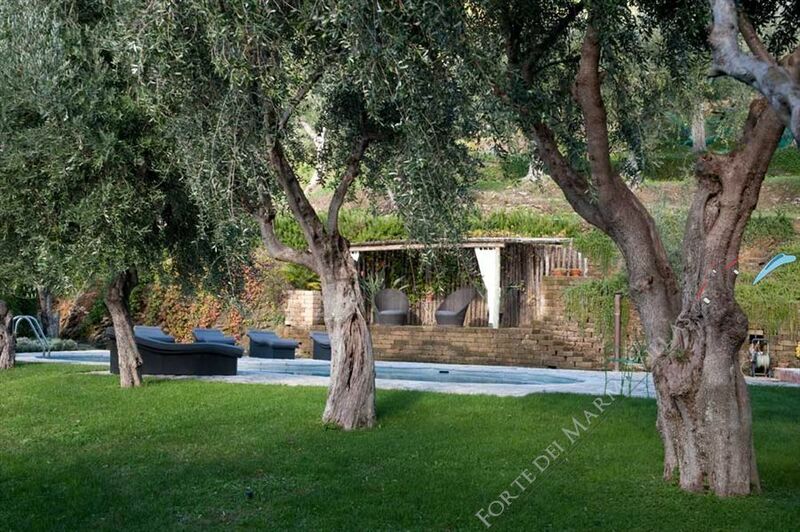 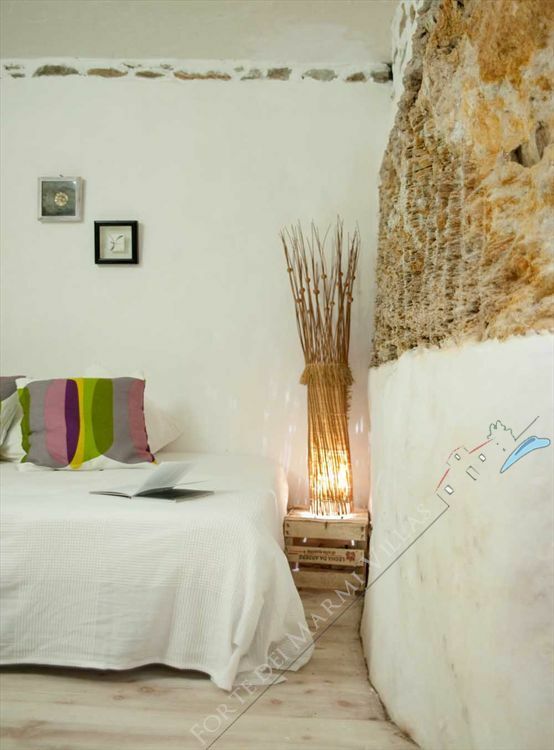 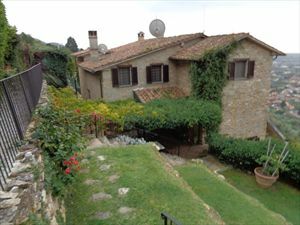 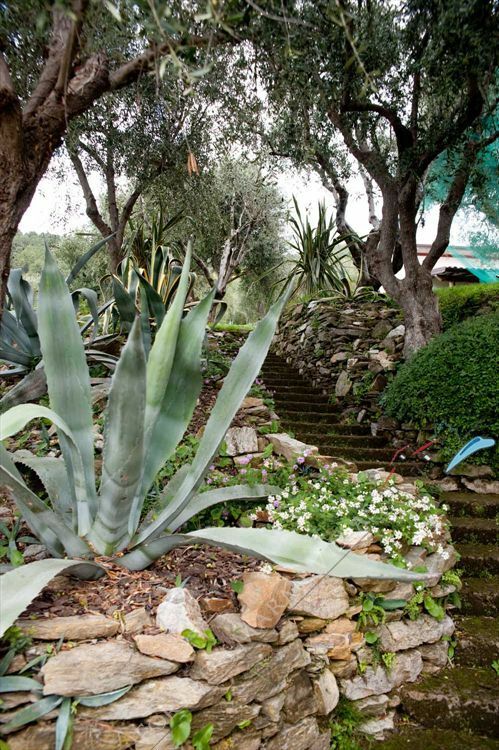 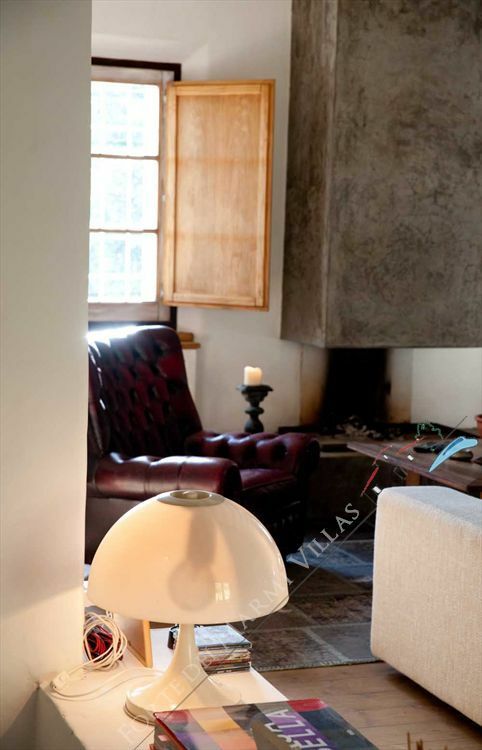 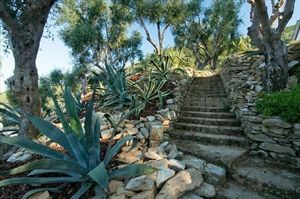 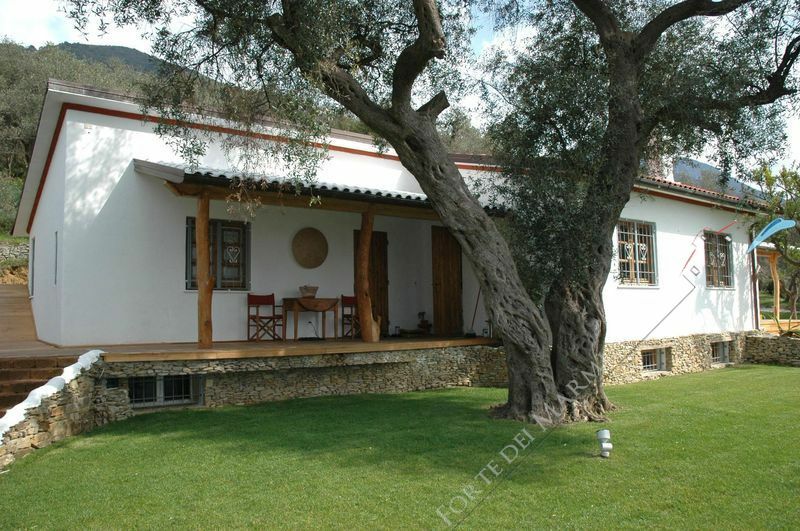 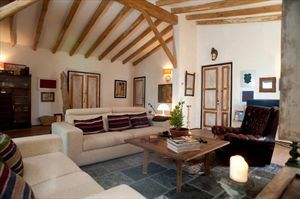 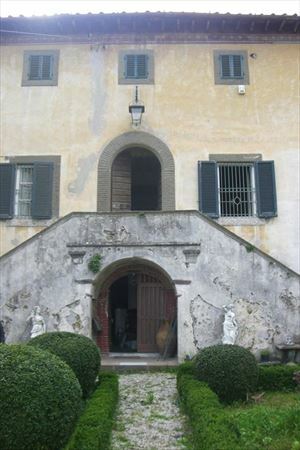 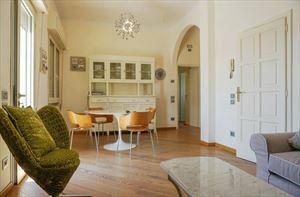 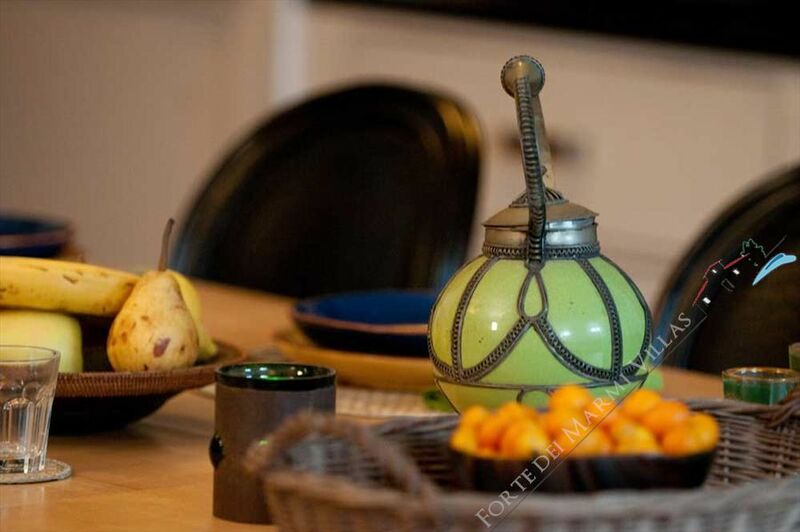 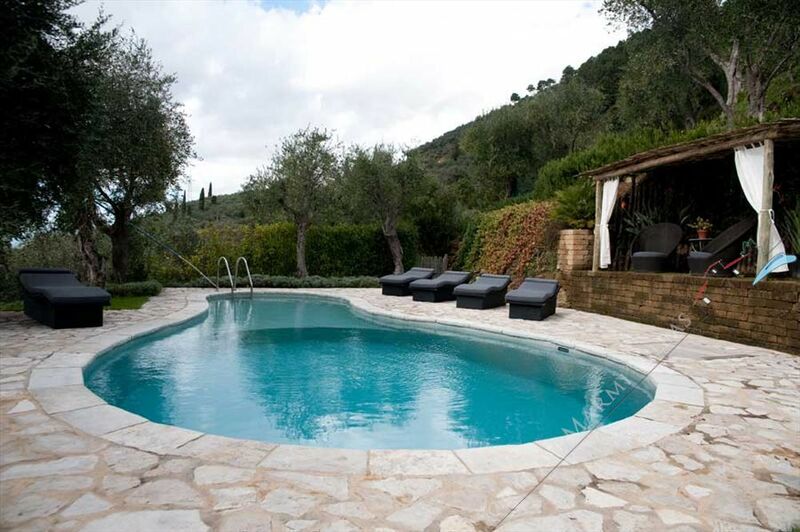 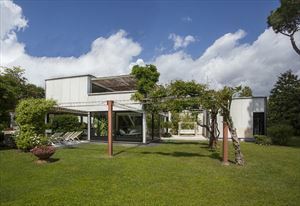 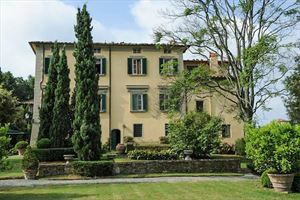 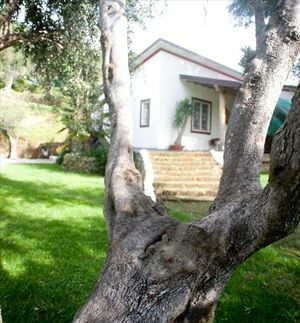 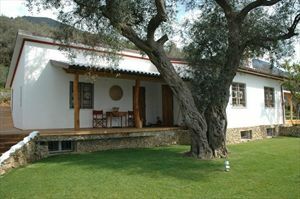 The owner a famous interior designer, has recently restored this property and turned it into a charming private villa. 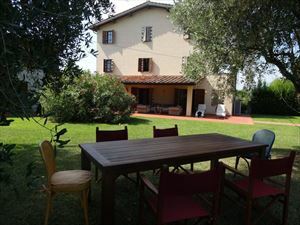 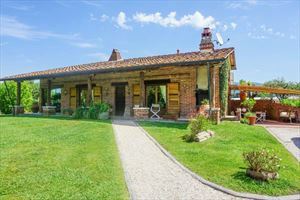 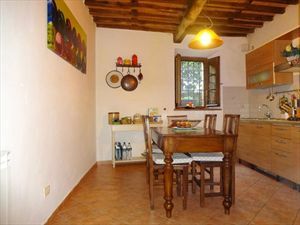 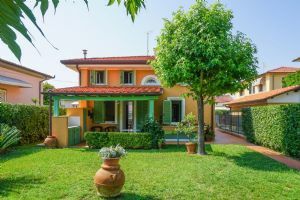 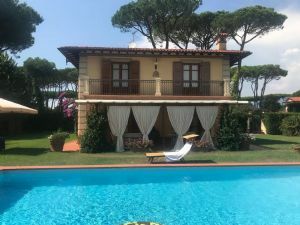 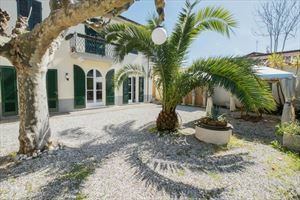 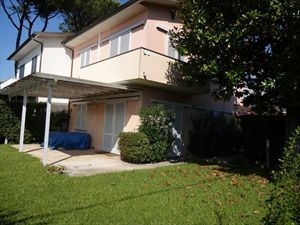 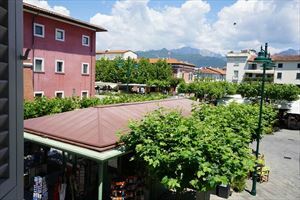 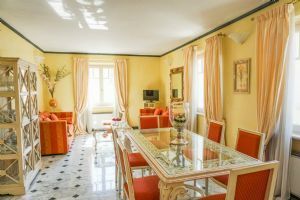 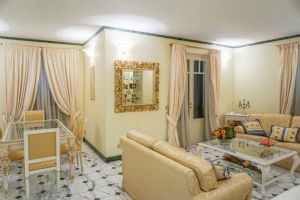 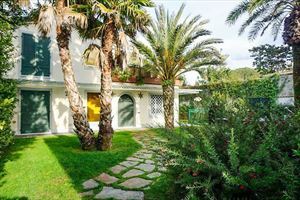 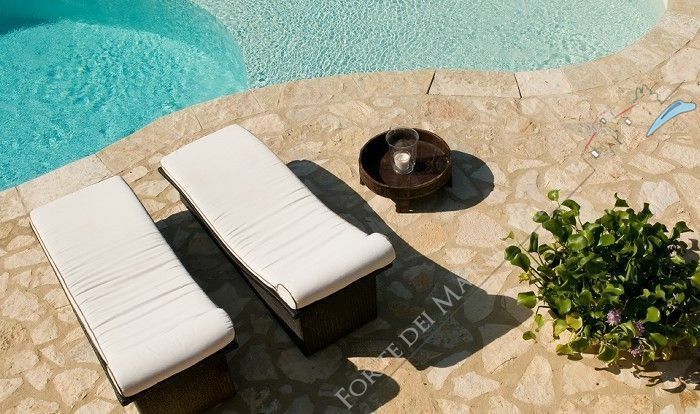 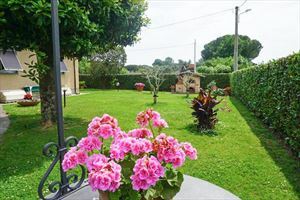 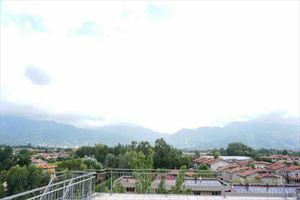 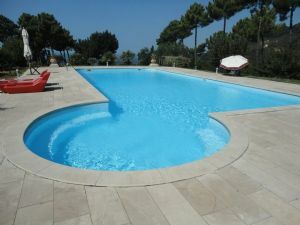 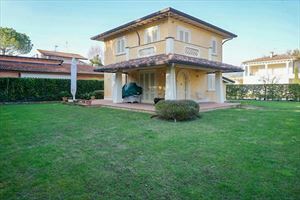 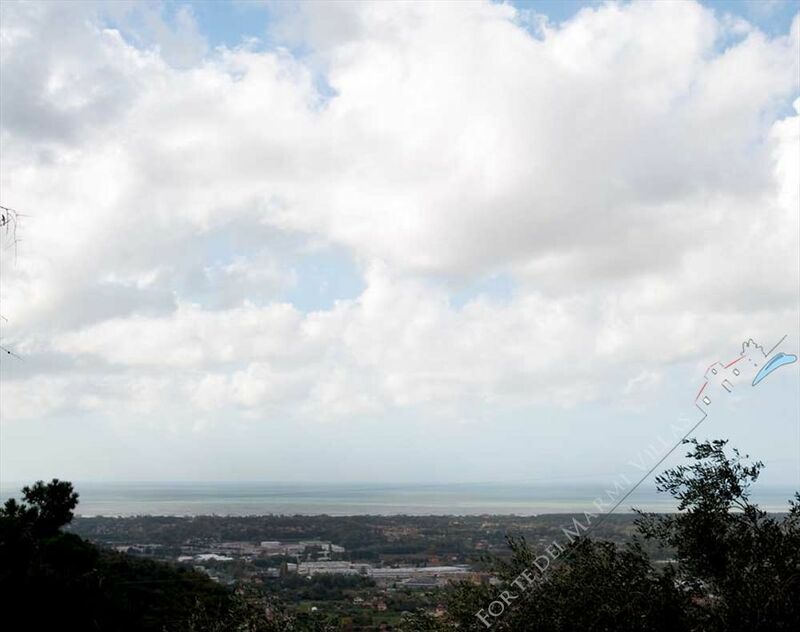 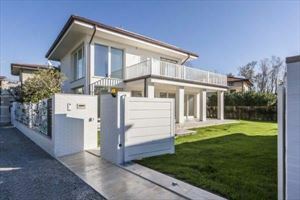 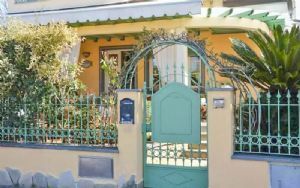 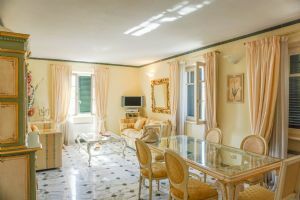 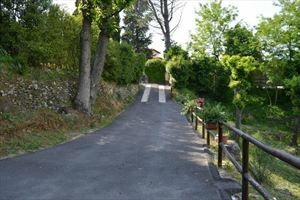 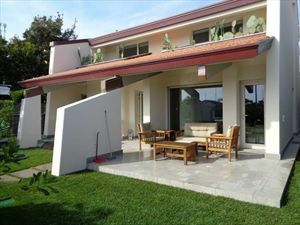 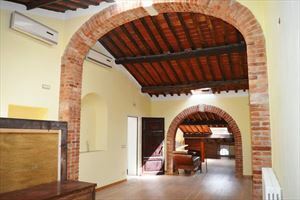 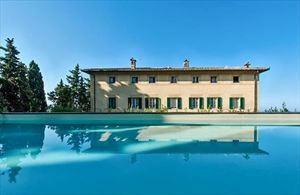 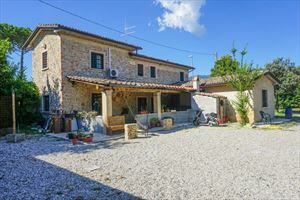 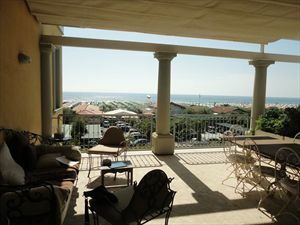 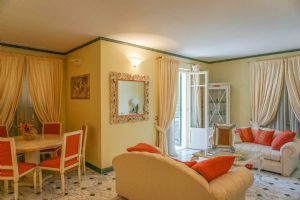 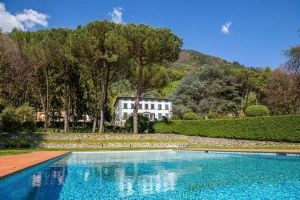 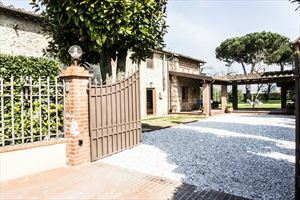 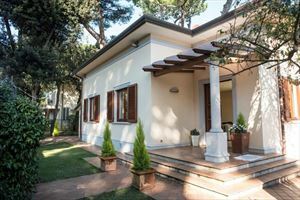 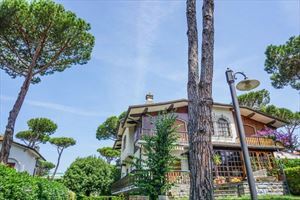 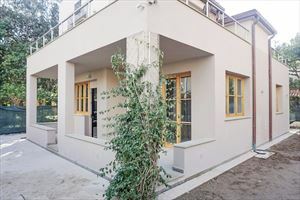 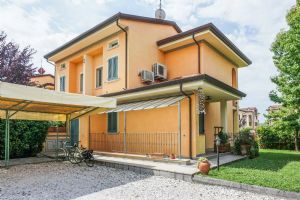 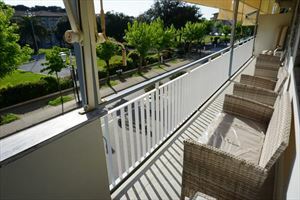 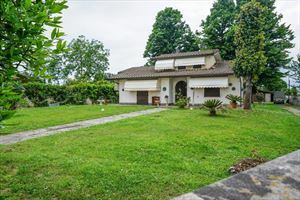 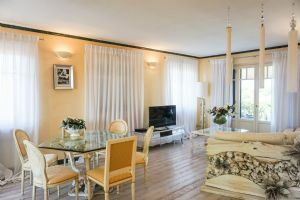 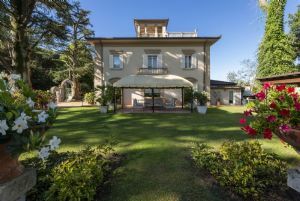 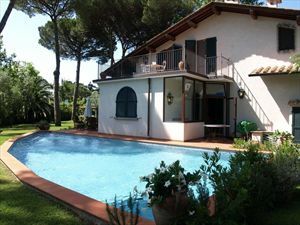 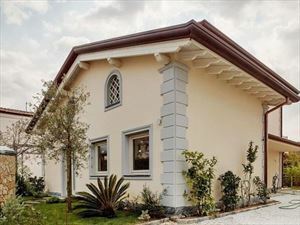 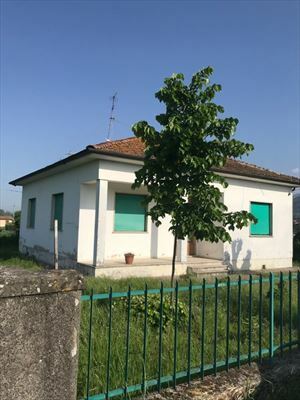 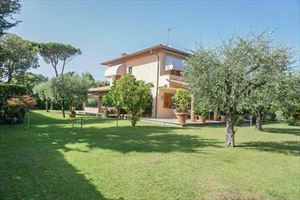 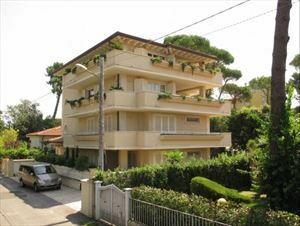 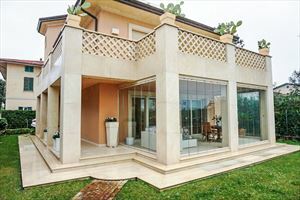 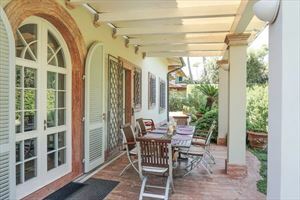 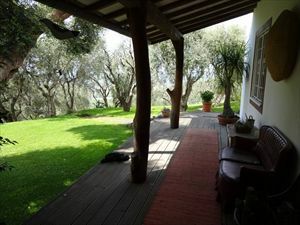 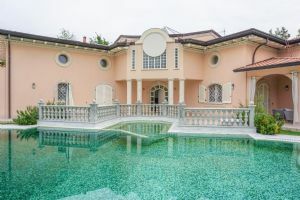 The location is ideal to enjoy the tranquillity of the Tuscan landscape and at the same time to be in easy reach of Viareggio and Forte dei Marmi offering nice beaches, restaurants, night life and shopping facilities. 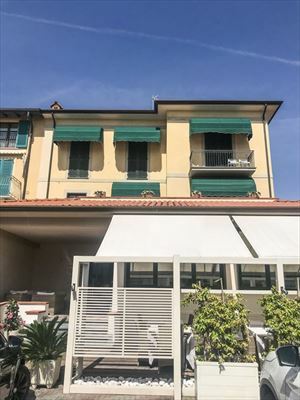 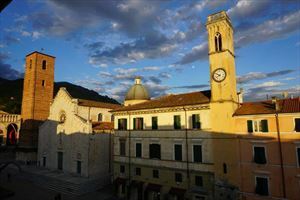 Distances: Pietrasanta (all kinds of shops), famous for its art galleries and studios of sculptors of worldwide fame, is 3 km away, Viareggio 12 km, Forte dei Marmi 10 km, Pisa (airport) about 50 km away. 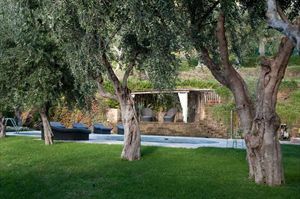 At guests’ disposal: large private garden furnished with garden furniture and beautiful panoramic terraces overlooking the surrounding landscape, beautiful, irregular-shaped swimming-pool (circa 10 x 4,5 m - min. 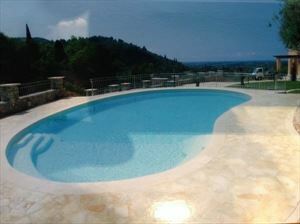 depth 0,9 m - max. 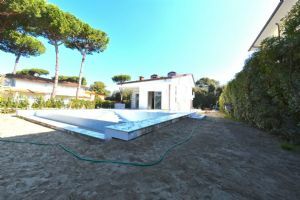 depth 2,2 m), shaded area with table, chairs, fridge and sink. 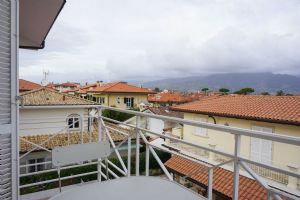 WI-FI internet connection available. 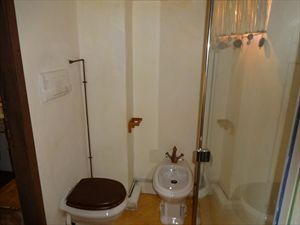 Washing-machine and ironing facilities at disposal. 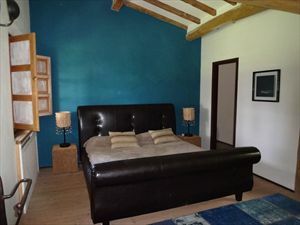 Extra services: Baby bed available free of charge. 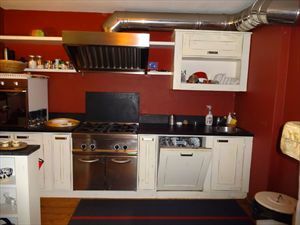 Maid service available by arrangement (€ 12,- / per hour - payment on the spot). 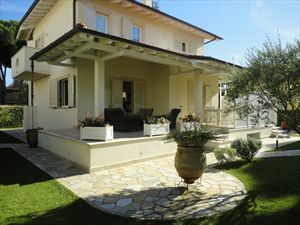 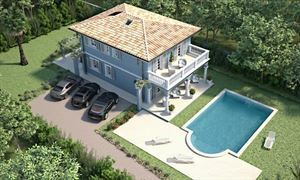 Ground floor: large covered and equipped terrace, living-room (satellite TV, SKY on demand, play station 3, DVD reader) with fireplace, 2 large double bedrooms (27 m2 each) each with ensuite bathroom with shower and covered terrace with panoramic views over the surrounding landscape. 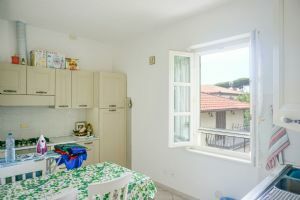 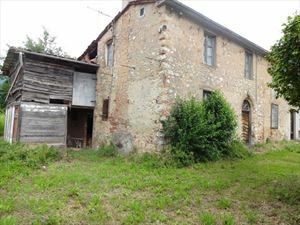 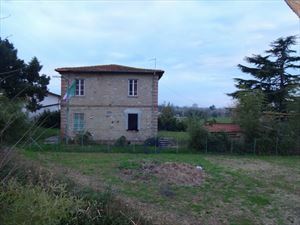 One of the 2 bedrooms provide air-conditioning.